Celebrate girl power with this uplifting British sports drama that taps into the excitement surrounding the 2012 London Olympics. Set in the tough world of athletics, it’s little predictable but really inspiring story about succeeding against the odds and a female sprint relay team fighting to win gold for the UK. Their on-the-track struggles are intensified by rivalry between two of the squad members: working-class talent Shania and snooty rich kid Lisa. Public humiliations, heartache and disaster follow, as the clashing pair find their arguments affecting the whole team. With the biggest race of their lives approaching, can the Fast Girls finally pull together, or will Shania and Lisa’s squabbles destroy everyone’s chance of glory? Lets face it, with the Olympics coming up everyone is after a slice of sporty drama and this film is perfectly timed to get you excited for the Olympic events, especially the track events. While it’s a bit predictable there is plenty of excitement and it does give a great insight into the hard work that goes in for those athletes that you will see lining up at the London Olympic Games in July and August. 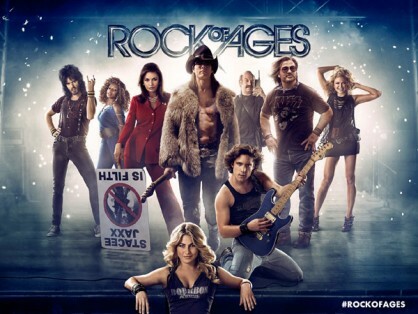 Go to the next page to see our thoughts on Rock of Ages! Take a fun trip back to the ‘80s, when hair was huge and glam metal ruled the airwaves, with this energetic rock ‘n’ roll romance, based on a hit musical. Built around classic rock anthems, it sees small town girl Sherrie and city boy Drew fall for each other after they meet on LA’s famous Sunset Strip while pursuing their Hollywood dreams. But of course the paths to both fame and true love are full of difficulties; bringing heartache galore as the cute couple becomes involved in the local rock scene. Fab period detailing and exaggerated supporting performances enhance the film’s simple, feel-good appeal, with Tom Cruise’s portrayal of a strutting music god stealing the show. Fascinating Fact: Both Tom Cruise and Latin music star Diego Boneta learnt to play guitar from scratch for their roles. The Jackson Kelly guitar Cruise uses in the film is a one-of-a-kind, custom-made instrument, hand-airbrushed with flames on the side.